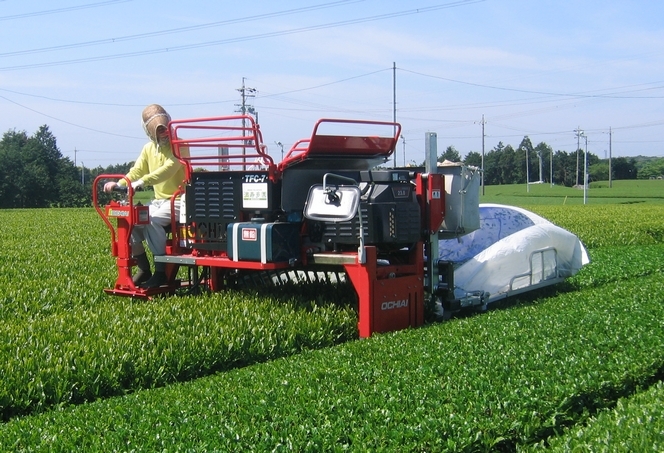 In Japan, tea harvesting is highly mechanized. In the Shizuoka region, which is on the Makinohara plateau and where Sencha teas are produced, you come across some machines that have a very strange way of talking to the tea leaves. And yet these sharp, deft steel fingers don’t harm them. With extreme precision, this strange harvester takes just the most tender parts of the shoots.